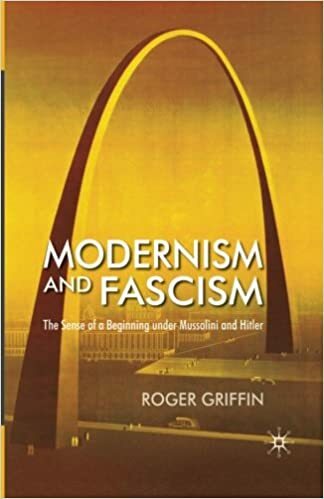 ROGER GRIFFIN, Professor in Modern History at Oxford Brookes University, is considered one of the world’s leading authorities on Fascism. In Modernism & Fascism, Griffin describes how modernisms’ roots lay in the human need to perceive a transcendent meaning—and to restore purpose in times of social breakdown. For information on order through Amazon, PLEASE CLICK HERE. "A product of enormous erudition and profound thought." In Redemption by War (1982), Roland Stromberg addressed the inadequacy of existing historical explanations for the almost “manic bellicosity of the European intellectuals, writers, artists, scientists” at the crucial beginning of the terrible war of 1914–18. He confirms that not only the avant-garde, but ordinary people from every class were eager to witness a “cultural rebirth” unfolding in an age of machines and masses rather than popes and princes. For once the avant-garde really proved to be the “advanced guard” of a popular army—as war-fever descended on the crowds of the pro-war movements whose enthusiasm destroyed any chance of negotiated peace—and marked what Thomas Mann would later describe as the “beginning of much that was still in the process of beginning;” as the West marched joyfully into labyrinthine mental catacombs of its own making. It would only finally emerge from them in 1945—after over 70 million combatants and civilians had died as a direct result of war, persecution, or genocide—a mere fraction of the survivors whose lives were devastated. Such an account bears out the thesis that the primitive instinct to “do battle against a common foe” that seized so many educated, civilized Europeans at the time expressed what we have called an instinctive search for a “transcendent nomos and sense of belonging as an antidote to modernity.” Both of these crystallized in 1914 in precisely the kind of myth-driven populist regeneration movement Sorel had speculated about a decade earlier. The quest for rebirth was triggered not by the image of the general strike bringing down capitalism to establish social justice, but by that of “the fatherland in danger”—the last bulwark against the loss of “civilization” or “culture” (according to who was judged to be the barbarians). It is no coincidence if the war was often referred to at the time as a contemporary Armageddon—a battle occurring at the end of time; prelude to a new era. The international crisis that came to a head in July 1914 thus turned millions of Nietzsche’s passive “last men”into myth-hungry “modern men.” However, they spurned everything Zarathustra had preached by looking to the _nation _to provide the “womb,” the “home,” and the “horizon-framing myth” whose loss he had mourned in The Birth of Tragedy. War-fever was thus both an elite and mass movement of _modernist _reactions to the historical crisis—no longer a brooding “malaise” or refined aesthetic sense of the putrefaction of culture under the cosmetic sheen of progress— but the concrete, palpable implosion of the entire social, political, and moral order of the post-Napoleonic political system—and self-destruction of the Age of Progress. In this special sense the First World War can be approached as a modernist event, not just experienced by millions as the harbinger of a new temporality demanding self-sacrifice and destruction, but exciting paroxysms of despair and expectation far beyond the confines of the avant-garde. 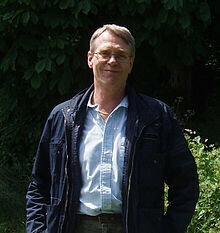 Robert Wohl observed that what led many young men and women to believe they were about to witness the “dawning of a new age” was the sensation of being in the throes of a “cultural transmutation” brought about by the sudden collapse of the nineteenth-century political system in Europe. It would be logical to assume from a humanist perspective that the infernal realities of industrialized warfare that unfolded over the next four years would shatter such great illusions. Certainly, the poetry of Wilfred Owen and Erich Remarque’s All Quiet on the Western Front—the outstanding bestseller of the inter-war period—spoke for untold thousands for whom the experience of combat was hell on earth, and whose only new community was the international but largely silent one of fellow survivors for whom promises of redemption rang lugubriously hollow. It was the Great War of Redemption. And redemption meant simply thousands and millions of men in troop-trains coming from the ends of the world to buy the freedom of the world with their bodies. The use of Christian discourse in the celebration of war should therefore not be taken at face-value as an assertion of religious faith. On one level it was no more than the articulation in the conventional language of the dominant religion of archetypically human impulses to “redeem” individual human lives in the face of a squalid, degrading, meaningless death. It was, in other words, an elaborate euphemism: the “medieval language of Christian redemption and warrior honour” worked to gloss the “world of blood, filth, and futility,” an abuse of faith—blasphemy even—that seems to occur in the history of every religion held hostage by war. But in the context of the First World War, this discourse expresses a fundamentally _modernist _urge to conjure up the prospect of historical renewal; to turn the obscenely meaningless, mechanized slaughter into a holocaust—a “burnt sacrifice” that would infuse a decadent age with a new sense of transcendence. In short, mythic responses were triggered by the combination of the brooding liminoidality of modernity, the acute liminality of trench warfare, and the imminent prospect of death—a psychological defense mechanism that long pre-dated Christianity. This line of argument is corroborated by the American social psychologist Richard Koenigsberg, who in a series of essays has explored the “sacrificial fantasy” that the death of the soldier is vital to the revitalization of the community, or more precisely the “body politic.” This is a literalized, reified metaphor configured as a suprapersonal, “magic” organism of flesh, blood, and spirit, whether in the form of the tribe, a distinctive ethnic culture, or in a modern context, the nation. He argues that the all-consuming sacralization of death in the First World War points to the survival into modern times of the same primordial logic that drove the elaborate social and ritual life of the Aztecs, which was entirely constructed round the myth that war was a sacred necessity. By the twentieth century international forces of _völkisch _nationalism generated throughout Europe by the revolt against Modernity had led to the theological obscenity of God’s conflation with “country,” and the perversion of the Christian concept of sacrifice into a patriotic duty. This was no rhetorical flourish of state propaganda. For some it was a phenomenological reality. The Italian historian Emilio Gentile records that many combatants lived the experience of the trenches as the sanguinary rite of initiation to a new life—entrance into a world apart; a sacred world which in the course of the war became ever more distinct from the _profane _world of the rear guard of the civilians. With the baptism of fire occurred the metanoia of the old man into the fighter or the new man. The spectacular eruption of this religious belief—that became a myth that dominated the historical imagination and political policies of an entire civilization for four years—cannot be dissociated from the fact that on the eve of World War many European countries feared what they saw as the degeneration and degradation of their societies, linked to the loss of virile, manly values. For those whose chauvinism was turbocharged by the war, the identification of death with “spring and resurrection—the forest of oaks, nature symbolizing the nation”—formed a tradition that made it possible for wartime nature to be viewed as a transcendent reality supporting the “Myth of the War Experience.” It was a myth that would make the aftermath of the war an incubator for myths of social transformation, which would take on a revolutionary, totalizing, populist, uncompromisingly political dynamic unthinkable before 1914. Paper adapted from: Griffin, R., Modernism and Fascism. New York: Palgrave MacMillan, 2007.